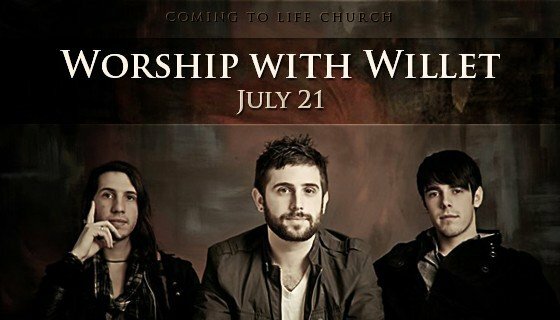 On Sunday, July 21, 2013, we will be welcoming Christian recording artist Willet to Life Church. In addition to their musical gifts, Willet Missions mobilizes meals, missionaries, and community development projects, providing a gospel-centered response to spiritual and physical poverty worldwide. Invite a friend and come enjoy a morning of worship with Willet!